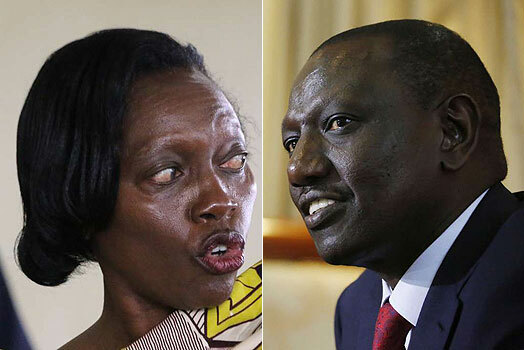 Narc Kenya leader Martha Karua has revealed her presidential choice between Orange Democratic Movement (ODM) leader Raila Odinga and Deputy President William Ruto. Speaking during an interview with former deputy speaker of parliament Farah Maalim in the show dubbed Speakers Gallery on Ebru TV, Karua was asked to choose between the two. “I consider Ruto totally unsuitable, and I have my own reasons. His supporters have their own reasons. I also have my right to speak out,” Karua declared. 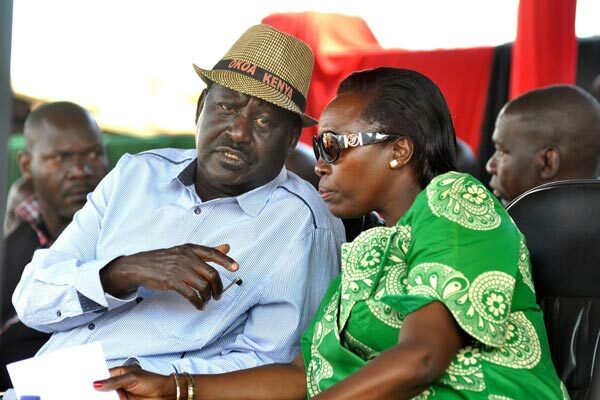 She explained that Raila was someone she had worked with before, as well as a person who had worked for the country. “Nobody is perfect but if you give me the two, I wouldn’t even have to think, I will choose Raila,” she pronounced. On the question of a referendum to have a parliamentary system of government, Karua noted that it wasn’t necessary, but her mind was open if Kenyans wanted to discuss the matter. Earlier in January, while speaking on Citizen TV, the former Gichugu MP blasted Ruto for undermining President Uhuru Kenyatta. The Narc Kenya leader had indicated that the DP was throwing punches using the shield of his supporters. Her sentiments came after a section of politicians affiliated to the DP, popularly known as Team Tangatanga, launched a series of attacks against the President.